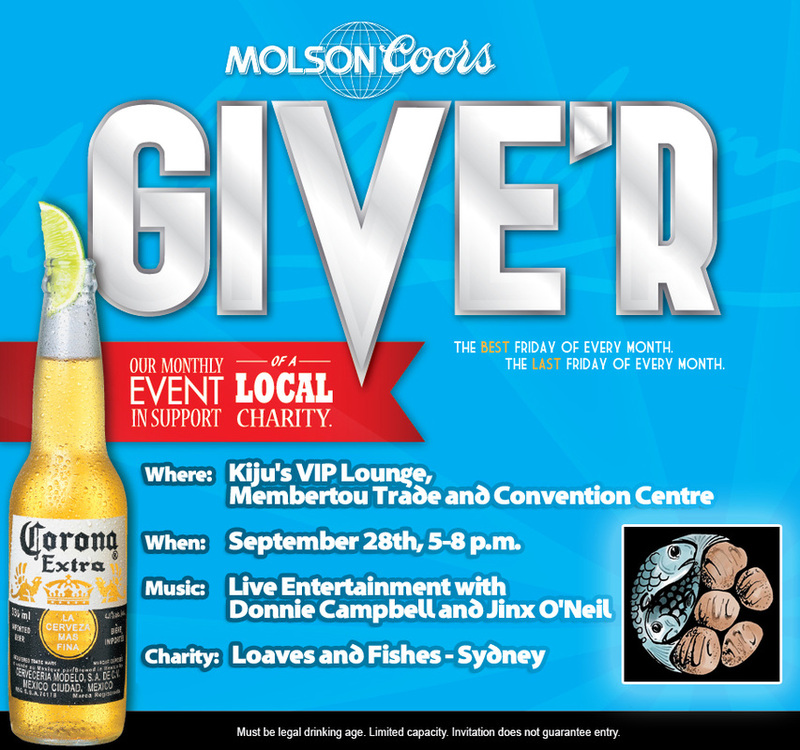 Cape Breton's first ever Molson Coors GIVE'R Event on Friday, September 28, 2012 from 5 p.m. - 8 p.m. at Kiju's VIP Lounge. Live entertainment with Donnie Campbell and Jinx O’Neil. Take advantage of this great opportunity to enjoy Molson Coors products while raising funds for local charity. Friday's GIVE'R proceeds will be donated to Sydney's Loaves and Fishes society. Molson Coors and the Cape Breton Partnership will host a GIVE'R event on the last Friday of each month, with proceeds being donated to various charitable organizations throughout Cape Breton Island and Mulgrave. Check back in mid-October to learn where the next Molson Coors GIVE'R will take place.